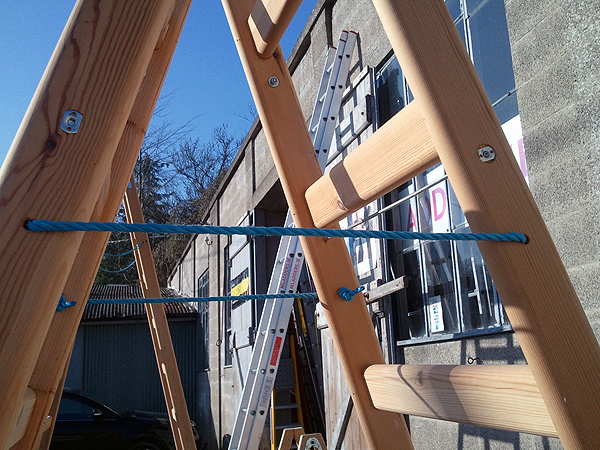 This range of Timber ‘A’ Frame ladders are available in a variety of sizes from 4 treads to 10 treads. All the metal fixings (including hinges and strengthening bars) are of galvanised steel. The wide ladder base gives excellent stability when climbing. Rungs are spaced at 11” centres for comfort and each side has 2 strengthening bars running from style to style to maintain rigidity even when the ladder has been in use for many years. 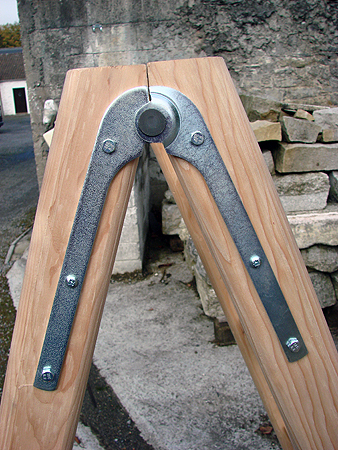 The heavy duty galvanised steel hinges are bolted to the step ladder. There are 2 locating guides at the end of the step ladder to ensure correct closing. 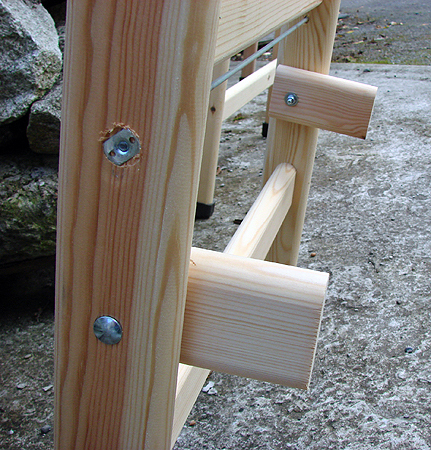 This timber ‘A’ frame step ladders range are strong and substantially made yet remain lightweight, rigid and very safe in use. Galvanised heavy duty hinges bolted to the step ladder. 2 locator guides to ensure correct closing. 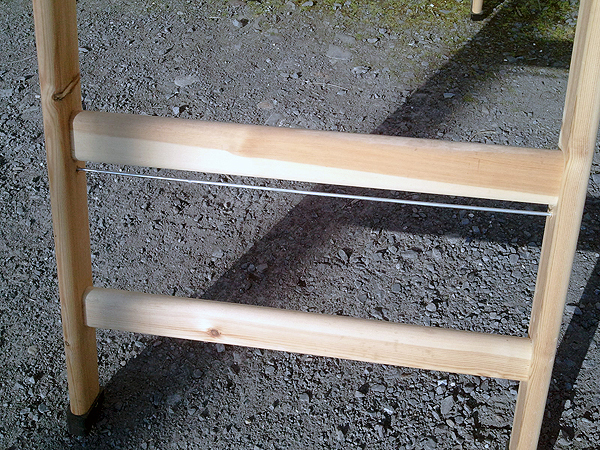 Rungs are at 11” (28cm) centres. Spare rubber feet held in stock.